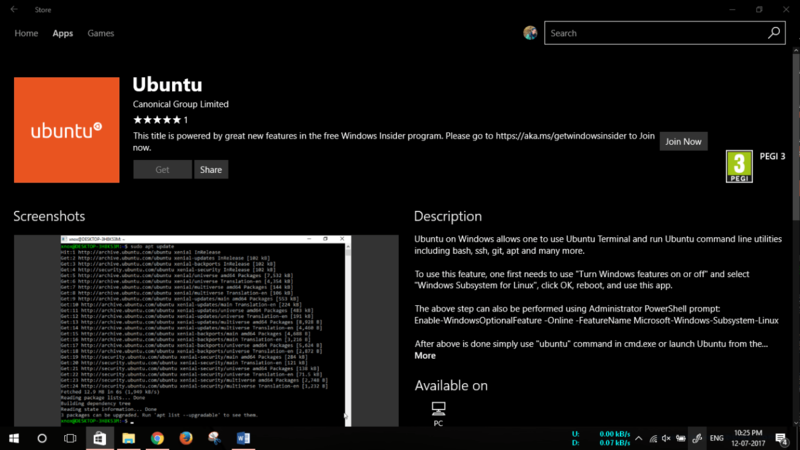 As promised back in May, at the Build Conference 2017, Microsoft has now made Linux Ubuntu available on the Windows Store. You can now download a flavour of the popular Linux distribution to run inside Windows 10. It lets you access Linux terminal features from your Windows PC, without dual-booting. It’s a reflection of Microsoft’s changing attitude to developers. It won’t compare to a conventional Ubuntu installation, as it’s sandboxed and is focused on running command line utilities like bash or SSH. trivial. 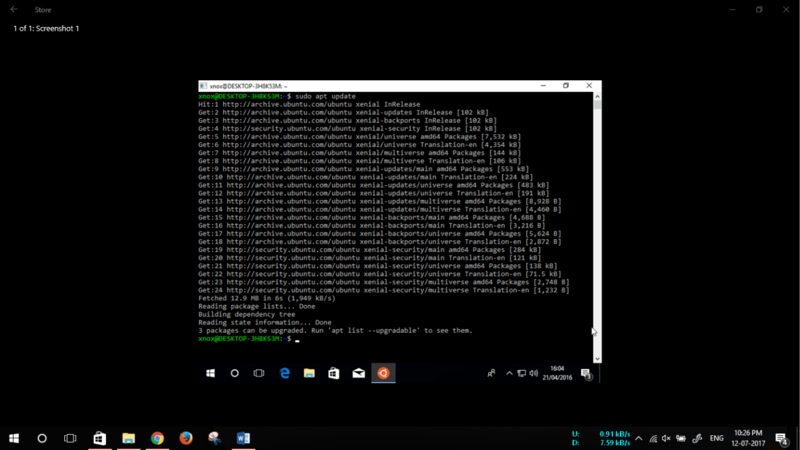 Developed in direct partnership with Ubuntu creator Canonical, it allows a Windows computer to support a native Linux subsystem. You can access the full power of an entire Linux operating system without having to leave Windows. How to install Linux Ubuntu ? Select the option “Turn Windows features on or off”. 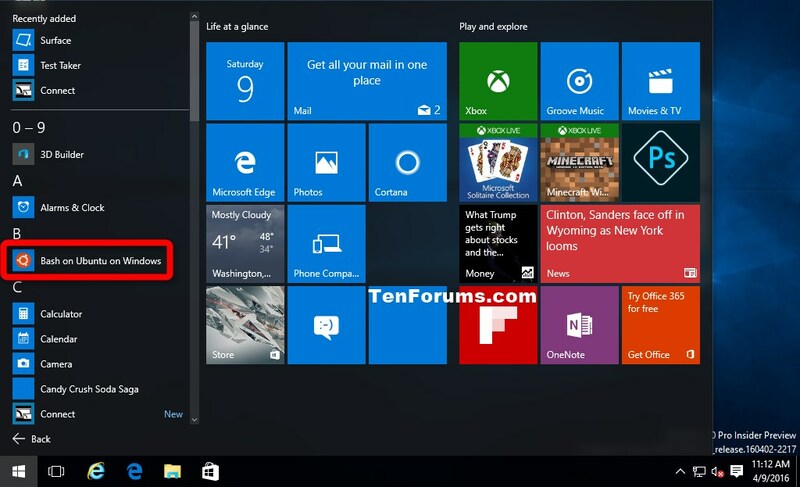 Enable – WindowsOptionalFeature – Online – FeatureName Microsoft – Windows – Subsystem – Linux. After this is done, you simply need to input “ubuntu” command in cmd.exe. Or you can launch Ubuntu from the Start menu. Microsoft announced the news in a blog post on Monday, confirming that Windows 10 Insider Preview build 16215 and higher versions will support the installation. As for everyone else, the distro will be installable only after the Windows 10 Fall Creators Update rolls out. Microsoft hasn’t said exactly when you can expect to see Fedora and SUSE Linux, the other two distributions coming to the Windows Store. Nonetheless, this is a big milestone that reflects Microsoft’s dramatic shift in attitude over the years.